The American announcement came Tuesday – days after the U.S. began adding 25 percent tariffs on $34 billion of Chinese goods. "We will take firm and forceful measures,” Hua Chunying, a Chinese Foreign Ministry spokesperson, said of the latest round of tariffs but gave no other details of what exactly Beijing plans to do in response. 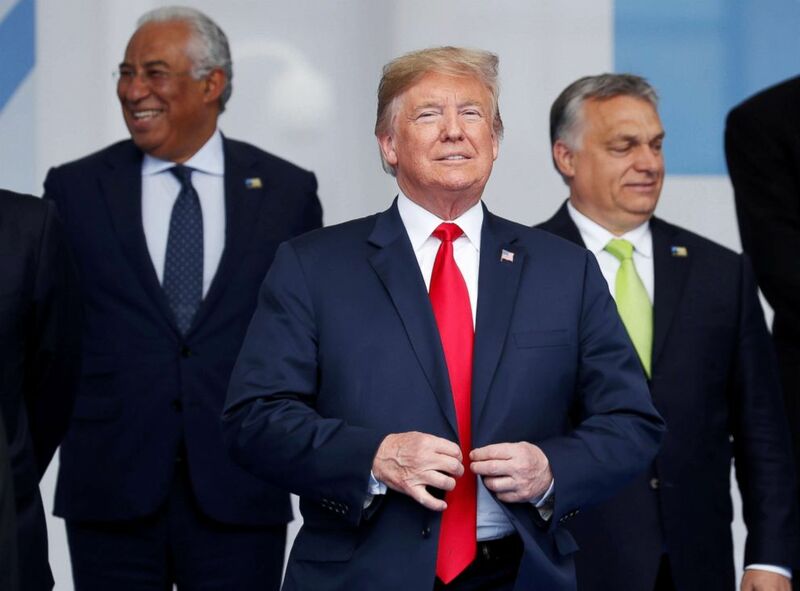 (Kevin Lamarque/Reuters) President Donald Trump reacts as he poses for a family photo at the start of the NATO summit in Brussels, July 11, 2018. While the first round of U.S. tariffs focused on Chinese industrial products, which have less of a direct impact on American consumers, the most recent list of tariffs includes fish, apples, and furniture. Because China imports fewer goods from the U.S. than the U.S. imports from China, it is unable to match U.S. tariffs in value, according to a report from Mizuho Bank. But it could interfere with American automakers and retailers who see China as a key market by regulating import licenses or investigating U.S. firms for tax, environmental, and antitrust concerns, according to the Associated Press. Both governments have already levied $34 billion in tariffs on each other’s goods, and are considering imposing tariffs on an additional $16 billion worth of one another’s goods. The escalation of U.S. tariffs on China comes in the wake of American trade battles with Europe, Canada, and Mexico and amid President Donald Trump’s visit to Brussels for a NATO summit. “Other countries’ trade barriers and tariffs have been destroying [farmers’] businesses. I will open things up, better than ever before, but it can’t go too quickly. I am fighting for a level playing field for our farmers, and will win!” Trump tweeted Wednesday. Republican senators expressed concern over the escalation of U.S. tariffs. "I'm not in great favor of tariffs either way....let's hope we can balance this out so it's not detrimental to our interests. 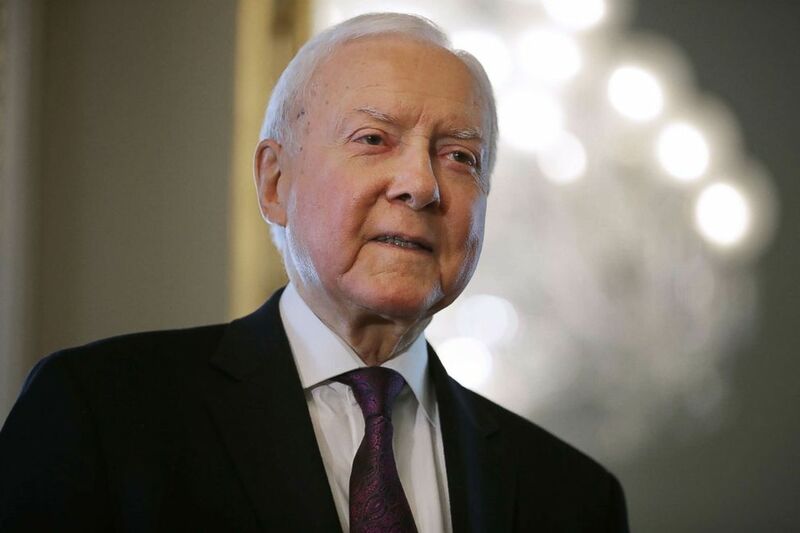 I don't want it to be detrimental to other people's interest either but certainly our interests are important," Senate Finance chairman Orrin Hatch, R-Utah, told reporters Wednesday morning. (Chip Somodevilla/Getty Images) Senate Finance Committee Chairman Orrin Hatch (R-UT) waits in the Senate President pro tempore office for the arrival of Judge Brett Kavanaugh at the Capitol, July 11, 2018. “Our international trade is extremely important and we have to start off on the right track and I'm not sure we are right now,” he said. ABC News’ Mariam Khan contributed reporting to this story.